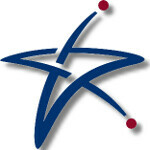 Regional carrier U.S. Cellular said today that it would cover a quarter of its network with LTE capabilities by the end of this year. The areas being covered with 4G will be Milwaukee, Madison and Racine, Wisc. ; Des Moines, Cedar Rapids, and Davenport, Iowa; Portland and Bangor, Maine; and Greenville, N.C. Although the carrier does not currently offer an LTE enabled handset, it will introduce such a model at the same time that it launches the LTE service. Mary N. Dillon, Chairman and CEO of the carrier, said, "With 4G LTE, our customers will have faster connections to the people, information and entertainment that enhance their lives and help them stay organized. In addition to our line-up of cutting-edge devices, customers who switch to U.S. Cellular get unique benefits like faster phone upgrades without continuously signing contracts, and join the happiest customers in wireless." The carrier added that it will continue to build its 4G network during 2012 and will make an announcement of the roll out at a later date. Why comment if it's only going to be negative? You probably have no actual knowledge regarding U.S. Cellular as made true by your ignorant statement. Have a nice day. I live in Knoxville, the birthplace of US Cellular. You'd think that would be a primary location for its 4G rollout. As I am at present with Verizon, and in need of a new smartphone, I don't foresee a transition to USC at this time. Too little, too late. Verizon is about the only thing of worth in the knoxville area if you travel outside of the main areas a lot. I know Tmo works well in the area and has full 4g coverage for the city as i was there a month ago... but your on edge as soon as you jump outside of the main area. They are probably adding LTE coverage to try to bait VZW into a take over so the uppers can make some quick cash. lol. and amazingly, i had tmo 4g the whole way through the mountain pass. call me suprized. i love how i got thumbs down for being suprized of good coverage. last time i went through a mountain pass with VZW the coverage was spotty at best. I sure didnt think id get much with Tmo, much less HSPA+. So obviously Tmo has better coverage than people want to give them credit for. Knoxville,The birthplace of U.S. Cellular? Really? You have no clue what you're speaking about. Get a clue then comeback with some credible information. Chicago is the "birthplace" of U.S. Cellular. You're welcome. No, Chicago is where its headquarters are located, not where it originated.